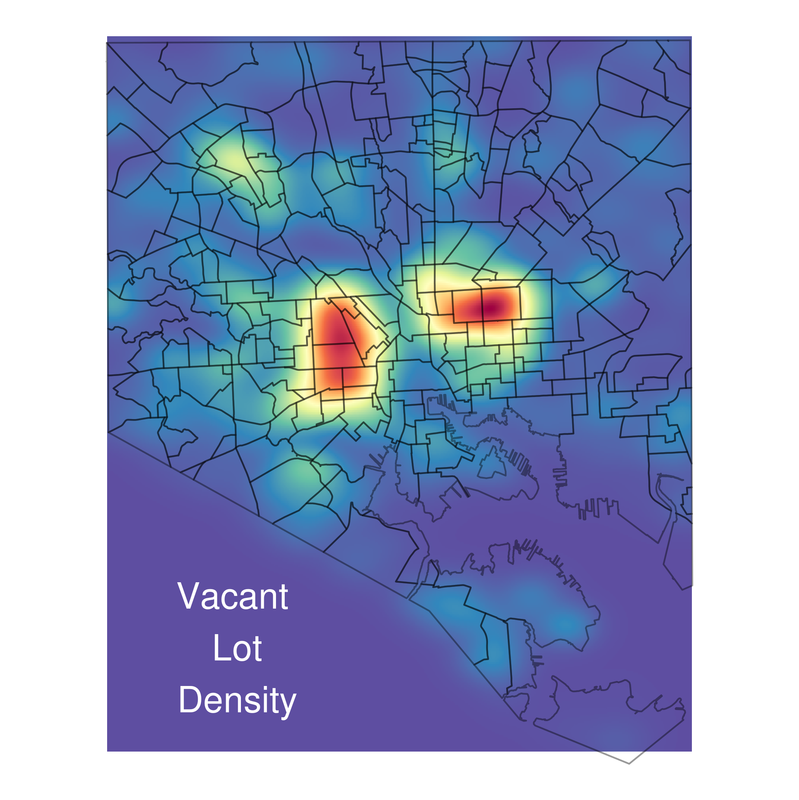 One of the key predictors in my model for this crime project I'm working on is vacant houses and lots. I'll speak to some findings about the relationship between levels of the different types of crime and vacant property in a later post. But I wanted to put some of these images up now, before I'm done with that, after a conversation at a party tonight. 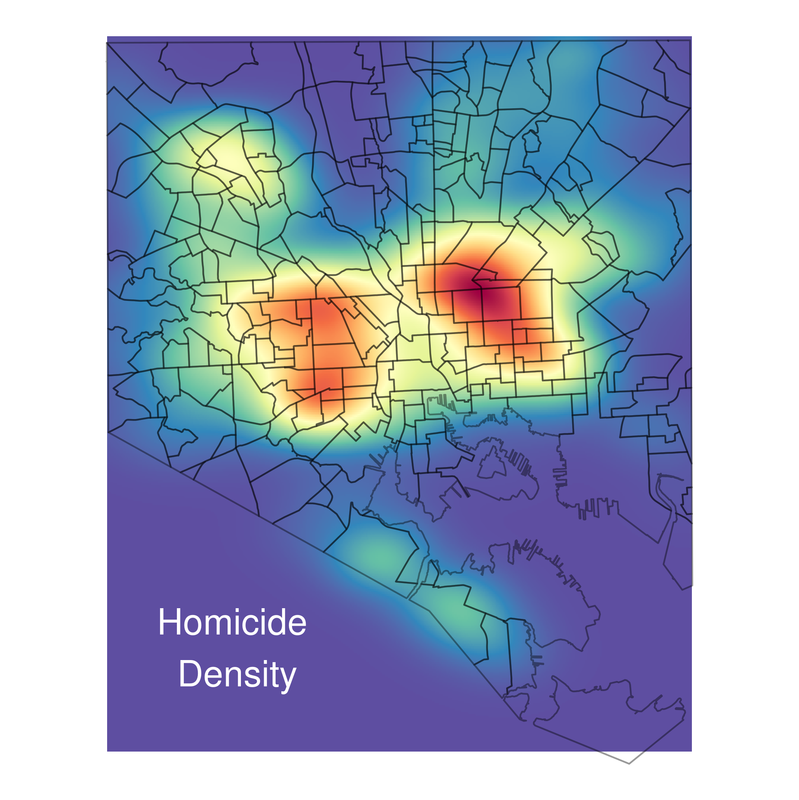 Here are visualizations of the 2-dimensional kernel density estimates for both of them. A density estimate essentially gives values at every point on a plane that communicate how close that point is to how many observations of the variable or point process you care about. 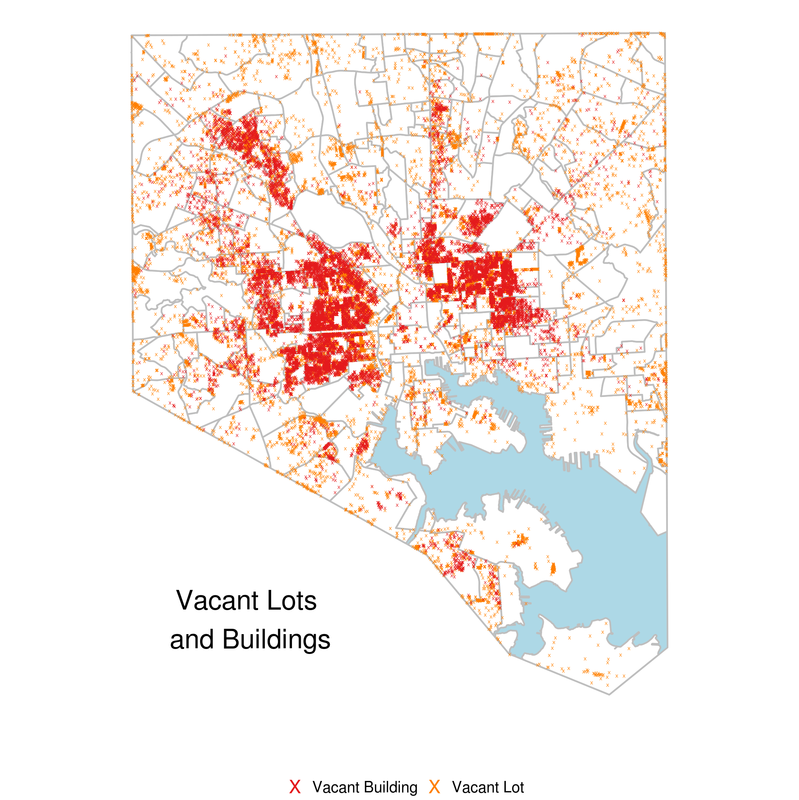 So the more red, the more vacant properties are clustered together in that area. Discupe my English, I speak Spanish. I appreciate your help to solve this problem. (Excuse me, I speak Spanish). Teacher, waiting for his answer.